Mr. Jaffee graduated from Georgetown University in 1986. Mr. Jaffee joined the Company in 1987 after a year with the accounting firm now known as PricewaterhouseCoopers LLP. He was a product manager in the Industrial and Agricultural divisions of the Company until 1989. In 1990, he became Chief Financial Officer of the Company, a position he held until 1995. From 1990 to 1995, he also held group vice presidential positions in the areas of Canadian and domestic operations, finance, management, information systems and consumer products. Mr. Jaffee became President of the Company in 1995 and Chief Executive Officer in 1997. He was Chief Operating Officer from 1995 to 1997. Mr. Jaffee received an M.B.A. from the Kellogg Graduate School of Management of Northwestern University in 2004. Mr. Jaffee’s civic activities include serving as a member of the Board of Directors of the Anti-Cruelty Society of Chicago and as a Trustee of the Chicago History Museum. He is also a member of the Board of Directors of Elkay Manufacturing Company (“Elkay”). Mr. Jaffee is the son of Richard M. Jaffee, who is the Chairman of our Board of Directors and who is also a nominee for director. Mr. Jaffee is also the brother-in-law of Thomas F. Cofsky, one of our named executive officers. Mr. Jaffee’s individual qualifications include extensive strategic Company and sorbent minerals industry experience gained through his long service to the Company in various operational, management and executive positions. His deep knowledge of the sorbent minerals industry is augmented by the special perspective he brings to the Board as a third-generation family stockholder. In addition, his experience on the Board of Directors of Elkay and his active involvement in the local community in advisory roles for several not-for-profit organizations add to his perspective on effective management and strategy for the long-term success of the Company. Chief Financial Officer of the Company since December 2018; Chief Financial Officer and VP, Information Technology, of the Power Solutions business of Johnson Controls International plc from 2010 to 2017. Chief Development Officer of the Company since October 2016; Vice President, Business-to-Business Marketing & Business Development of the Company since December 2013; Vice President, Business-to-Business Marketing of the Company from December 2009 to December 2013. Vice President, General Counsel and Secretary of the Company since December 2017; Assistant General Counsel and Assistant Secretary of the Company since April 2013; Senior Attorney at Navistar International Corporation from 2012 to 2013. Vice President, Human Resources, of the Company since October 2016; Human Resources Director Central US and Canada at Staples, Inc. from 2007 to October 2016. Mr. Cole graduated from the University of Wisconsin in 1957. After serving as an officer in the United States Army, he received a master’s degree from the American Graduate School for International Business following graduate studies at the University of Michigan. He began his career at Abbott Laboratories in 1962. Later, he joined G.D. Searle and Company, where he became Vice President of the Asian and Canadian Divisions, a position he held until 1986. In 1986, Mr. Cole joined A.H. Robins Company, where he was a Senior Vice President responsible for all international operations until 1990. In 1990, he joined SAV-A-LIFE Systems, Inc., a firm selling specialty products to the dental and medical professions, where he served as President until 1994 and then Chairman of the Board until 2000. In 1990, Mr. Cole also became President of Cole & Associates, an international consulting firm. Mr. Cole is also a director of Aculux, Inc. and Ocularis Inc.
Mr. Cole’s individual qualifications include broad experience in international business and product development. Mr. Cole’s expertise includes past leadership of various divisions of multi-national corporations with direct responsibility for international operations. In addition, Mr. Cole has served in a corporate governance role at another public company and is an “audit committee financial expert” under SEC rules. He is an accomplished advisor to many companies and organizations, providing leadership in product development, general management and technical development and has contributed to efforts dedicated to reducing trade barriers to global businesses through his active involvement with trade associations. Mr. Miller graduated from the West Virginia University School of Business in 1964. After serving as an officer in the United States Army, he joined Republic Steel Corporation in 1966. Mr. Miller served as President of Lowes, Inc., Inland Distributing and Whiteford Transportation Systems. He joined the Company in 1989 as Vice President of Corporate Planning and Marketing. He served as Group Vice President for Sales, Marketing and Distribution from 1990 to 1993. Mr. Miller was Senior Vice President for the Consumer, Industrial & Environmental and Transportation Groups of the Company from 1993 to 1995. He became Vice Chairman of the Board in 1995. Mr. Miller was an employee of the Company until 2000, when he became an independent consultant specializing in strategic planning. Mr. Miller is a member of the board of advisors of Kamterter Products, LLC. Mr. Miller’s individual qualifications include his leadership experience as chief executive and chief operating officer of several corporations, including prior sorbent minerals industry experience. In addition, he brings to the Board skills gained through his 11 years of employment with the Company in various operational, management and executive positions. He also serves on the advisory boards of several other companies and offers additional perspective gained through his experience as a strategic planning consultant. President and Chief Executive Officer, Vedder Price P.C. Mr. Nemeroff received a bachelor’s degree from the State University of New York at Binghamton in 1985 and earned a J.D. from George Washington University in 1988. He joined the law firm of Vedder Price P.C. (“Vedder Price”) in 1988 and has been the Chairman of the firm’s Finance & Transaction Group and an equity shareholder since 1995. Since 1998, he has served on the firm’s Board of Directors. Since 2005, Mr. Nemeroff has served as President and CEO of Vedder Price and a member of the Executive Committee of the firm’s Board of Directors. Vedder Price regularly provides services to the Company. Mr. Nemeroff serves as a legal advisor to the G100, an elite international organization of leading chief executive officers from Fortune 500 publicly traded corporations. He also serves as an Executive Committee and Board of Directors member of Chicago Children’s Choir, a not-for-profit organization making a difference in the lives of children through musical excellence, a Trustee of the Chicago History Museum and Board Chair of The Wallis Annenberg Center for the Performing Arts in Beverly Hills, CA. Mr. Nemeroff’s individual qualifications include his expertise as a corporate and transactional attorney advising clients on corporate governance, mergers and acquisitions and executive compensation as well as the financial underpinnings of these complex practice areas. In addition, Mr. Nemeroff brings to the Board risk management, finance and business operations experience gained in the various management positions he has held at Vedder Price, including the position of President and Chief Executive Officer of that international law firm. Mr. Roeth received a Bachelor of Science in Business Administration from the University of California at Berkeley in 1983 and earned a Master of Business Administration from the Kellogg Graduate School of Management of Northwestern University in 1987. From 1987 to 2014, Mr. Roeth held various positions at The Clorox Company (“Clorox”). Most recently, from 2013 to 2014, he served as Chief Operating Officer of Lifestyle, Household and Global Operating Functions of Clorox. Previously, he served as Senior Vice President and General Manager, during which time he was also Chairman of the Board for the Clorox and Procter & Gamble Glad Products Joint Venture. Prior to that, Mr. Roeth served in several senior-level marketing and operations roles at Clorox, including Senior Vice President and General Manager, Vice President of Growth and Marketing, and Vice President of Brand Development, among others. Following his retirement from Clorox in 2014, he served on the Gryphon Investors Executive Advisory Board, advising on investments in the consumer packaged goods business until 2016. In 2015, Mr. Roeth joined the Board of Directors of Central Garden & Pet Company (“Central Garden”) and was named President and Chief Executive Officer of that company in 2016. He also currently serves on the board of the East Oakland Youth Development Foundation. Mr. Roeth’s individual qualifications include his proven track record of delivering profitable growth in challenging and highly competitive business environments and his success in simultaneously driving global sales, lowering costs and improving customer satisfaction during his tenures at Clorox and Central Garden. He also brings to the Board his extensive experience in, and his comprehensive understanding of, the consumer products industry. PRESIDENT AND CHAIRMAN, SELIG LEASING COMPANY INC.
Commissioner Emeritus Selig received a bachelor’s degree from the University of Wisconsin in 1956. After two years in the United States Army, he joined Selig Ford, Inc. He served as President of Selig Ford (which became Selig Chevrolet in 1982) from 1959 until 1990. 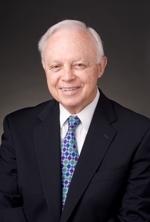 Since 1970, he has served as Chairman of the Board and President of Selig Leasing Company Inc. He became President and Chief Executive Officer of the Milwaukee Brewers Baseball Club, Inc. in 1970 and served in that capacity until 1998, when he was elected to the position of Commissioner of Major League Baseball (“MLB”). He also served as Chairman of the Executive Council of MLB from 1992 to 1998. He now holds the position of Commissioner Emeritus of MLB following his retirement as Commissioner in January of 2015. He is a director of Marcus Corporation and a director emeritus of the Green Bay Packers, Inc. In addition, he is a director of the Greater Milwaukee Committee, the Milwaukee Club, the University of Wisconsin Foundation and Ixonia Bancshares, Inc. and a trustee of the Boys and Girls Clubs of Greater Milwaukee. He is a founder and vice chairman of Athletes for Youth and co-founder of the Child Abuse Prevention Fund. Mr. Selig’s most recent accomplishment was being inducted into the Baseball Hall of Fame on July 30, 2017 in Cooperstown, NY. Commissioner Emeritus Selig’s individual qualifications include sound judgment, integrity and business management skills gained through his management of several businesses, including his long tenure as MLB Commissioner and as Chief Executive Officer of the Milwaukee Brewers Baseball Club and his family’s automobile businesses. His unique ability to manage by consensus brought change and growth in baseball despite economic and political challenges both inside and outside of baseball. In addition, he is a community leader and an active advisor to several philanthropic organizations. Mr. Suckow received a B.S. degree in economics from Bradley University in 1969 and earned an M.B.A. with a concentration in finance from Western Illinois University in 1973. He began his career in finance in 1973 with American National Insurance Company as a securities analyst. In 1975, he became a trust investment officer with First Hutchings-Sealy National Bank. From 1978 to 1981, he was Vice President, Investments, for Sun Insurance Services and from 1981 to 1985, Vice President and Portfolio Manager for Delaware Investment Advisers, Inc. From 1985 to 1992, Mr. Suckow was Executive Vice President and Director of Fixed Income Securities for Oppenheimer Management Corporation, and from 1993 to 1999, he served as Executive Vice President and Chief Investment Officer-Fixed Income for Delaware Investment Advisers, Inc. In 1999, he retired from the investment management industry and began a teaching career as a business fellow and adjunct professor of finance and economics at Villanova University. Since 1978, he has been a Chartered Financial Analyst and is a member of the CFA Institute. Mr. Suckow’s individual qualifications include his financial literacy evidenced by his position as an adjunct professor of finance and economics and his many years of service in the financial and insurance services industries. In addition, Mr. Suckow has served on the advisory boards of many corporations and is an “audit committee financial expert” within the meaning of SEC rules. Mr. Washow received a bachelor’s degree from Miami University in Oxford, Ohio and earned a Master of Business Administration from the Kellogg Graduate School of Management of Northwestern University. Mr. Washow began his career in 1978 at American Colloid Company (which subsequently became a subsidiary of AMCOL International Corporation (“AMCOL”), which is now Mineral Technologies Inc.) In 1986, he was picked to build and lead Chemdal International, a stand-alone subsidiary of AMCOL. Mr. Washow became Chief Operating Officer of AMCOL in 1998 and President and Chief Executive Officer of AMCOL in 2000 and served in these positions and as a director of AMCOL until 2010. In 2011, Mr. Washow became a board member, and now serves as Chairman, of First Bauxite Corporation. He also serves as a board member and partner of Eudora Global, LLC and is a member of the advisory board of Laviosa Minerals. In addition, he is a private investor and advisor for a number of early stage companies. Mr. Washow’s individual qualifications include his extensive global experience in minerals, mining, manufacturing and distribution. In addition, Mr. Washow is an “audit committee financial expert” within the meaning of SEC rules and brings to the Board his strong business acumen and broad experience in management, operations, public company governance and compliance obtained through the leadership positions, including president, chief executive officer and board member that he has held with public corporations. Ms. Chube graduated from Northwestern University in 2002 with a Bachelor of Arts in political science and earned a Juris Doctorate degree from Georgetown University in 2005. Ms. Chube began her career in public service working for Congressman Harold Ford Jr. as a senior advisor in the House of Representatives, as well as on the 2006 Senate campaign. Following her time with Congressman Ford, Ms. Chube became an associate in the government affairs practice of Brownstein Hyatt Farber Schreck, LLP. In 2009, Ms. Chube became the Staff Director for the Senate Banking Subcommittee on Security, International Trade and Finance. In this role, she was responsible for financial services and economic policy for former Senator Evan Bayh, including his legislative priorities in the Dodd-Frank financial regulatory reform bill enacted in July 2010. In 2011, Ms. Chube became the Vice President and Chief of Staff to John W. Rogers Jr., Chairman and CEO of Ariel Investments. After four years at Ariel Investments, Ms. Chube became the Managing Director and Client Service Officer at William Blair & Company. She also serves on the board of the Toigo Foundation and the Chicago Children’s Choir and is a trustee of the Museum of Contemporary Art in Chicago. Ms. Chube’s individual qualifications include her expertise and commitment to delivering exceptional client service worldwide as well as her wealth of business and financial services knowledge she has acquired throughout her time at William Blair, Ariel Investments and her notable public service career. In addition, Ms. Chube brings to the Board finance, regulatory, audit committee and human resources committee experience.